Buy composting worms here. 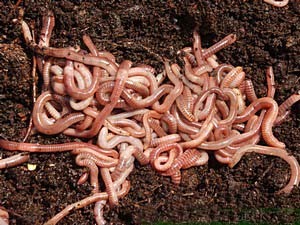 You'll find all the composting worms you need for your worm farm on this page. If you are looking to buy fishing worms or buy garden worms, we have those too. 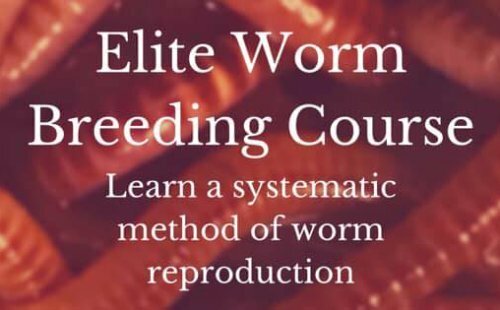 All orders are shipped on Monday or Tuesday to assure that your worms arrive alive and guaranteed. 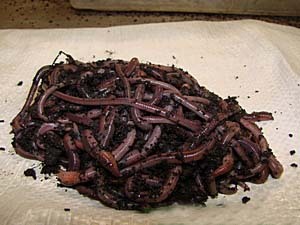 So be sure to buy composting worms before Friday at 5 CDT or it will go on next weeks order. Red wigglers are by far the most popular composting worm around. They can consume up to their entire weight in food per day under optimal conditions. That means 1 lb. of red wigglers = 1 lb. of castings for your lawn, garden or plants. Get these little guys for your worm farm today! Tolerant of a wide range of temperatures. Very prolific! These worms are heat tolerant! Larger than the red wiggler, but smaller than the Canadian . Good feed for animals and going fishing. *Not advised to raise unless you have a warm climate or can provide warmth. Constant temps from 70 F and up. About 300-350 worms per lb.